Overstock. 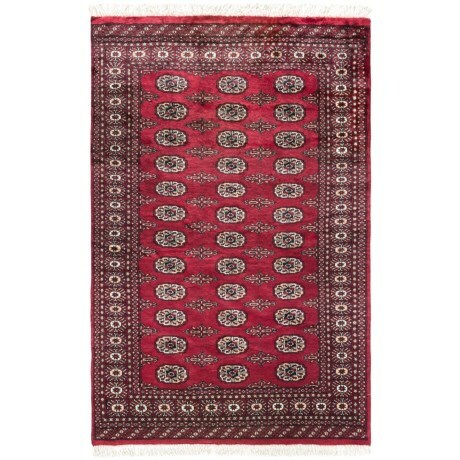 The classic elephant-foot design is a ubiquitous favorite in traditional Oriental rug design, and HRI’s Bokhara Collection brings it to a lush finish in warm reds and golds. Heirloom quality hand-knotted wool.